From The Archives: Camo: The Print That's Everyone's Loving! - CounterCultural. CounterCouture. 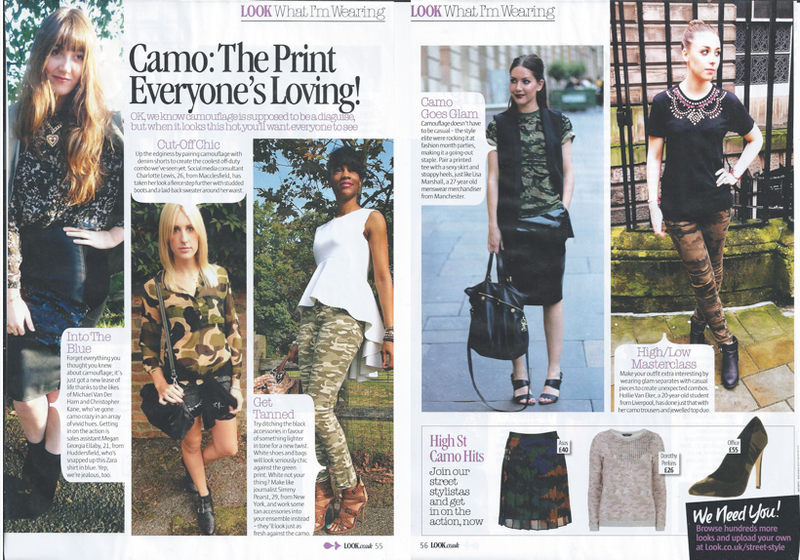 From The Archives: Camo: The Print That’s Everyone’s Loving! Anyone else remember when khaki and camo were the colour and print to be seen in? I swear I spent my pre-teen years dressed head to toe like some cinematic rebel or Lara Croft figure. (It was either that or matching tracksuit jacket and jogger sets.) It had a moment of revival earlier this year, and Look was eager to share it with us. My favourites are pairing camp trousers with smart tops, creating a mash up between casual and party styles. Being not much of a white fan, I would pair them with black like Hollie. The question is, will camp be back in for AW14? And if so, will we be rocking it as tops, trousers or even shoes?